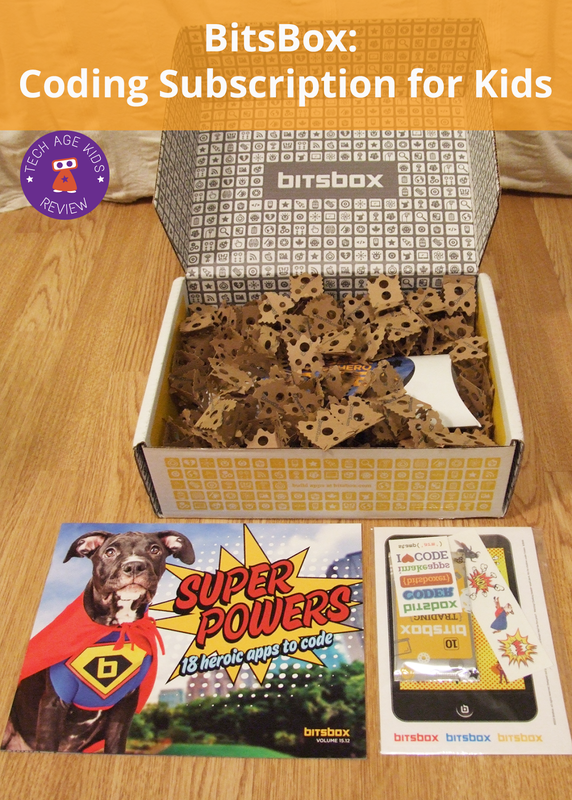 BitsBox is a monthly coding subscription service for kids aged around 6-12. You can get a physical BitsBox with extra goodies or a digital download. The basic idea is that kids get new coding projects to type into an online editor each month. I tried BitsBox out with my 7 year old who has some experience with Scratch, Code.org and other blockly-based languages. Disclaimer: BitsBox sent us a box to try out. Views are our own. BitsBox gets kids to type in code from their monthly subscription booklets or trading cards. A lot of people will wonder if this is an effective way to learn to code and imagine that kids don't learn anything when they are just copying. This isn't the case at all. I learnt to code by typing listings in my Sinclair Spectrum back in the 80s. My 7 year old quickly got the idea and was changing the code and trying new things as soon as he got his first program running. Having said that, some of the projects do need a bit of explanation for younger or less experienced kids to understand what's going on. Parents may need to step in and help kids work out how a project works if kids can't do that themselves. So, most coding languages for kids are graphical rather than requiring kids to type. There are good reasons for this: it means that the available commands are always visible and don't need to be remembered, kids are generally slow typers and syntax errors are pretty much eliminated. You can navigate through lots of different assets but there's no help to create the code to use them. You have to type it which feels a bit tedious when it could be generated easily. There's certainly an argument that kids need to learn to code but most textual coding tools have content assist to help. That would be really useful here, but BitsBox doesn't have it. Maybe it would encourage some kids to learn to type, but it seems to be the other way around for my son, he'll only be keen to use an interface like this once his typing is fast enough to keep up with his ideas. I also showed my 9 year old son whose typing is a bit faster. But he was busy coding turtles to chop down trees, attack zombies and plant seeds using Lua in the Minecraft ComputerCraft mod. 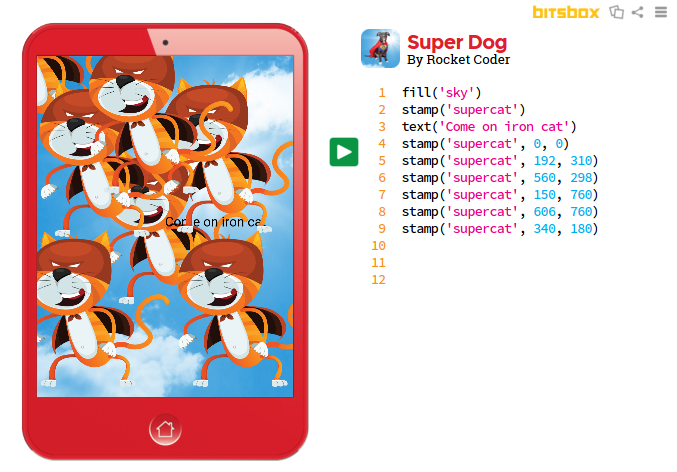 I think both kids will return to BitsBox coding when they want to create a quick 'app'. You can scan a QR code for a BitzBox project to run it in a browser on a phone or tablet. But you can't yet edit your code on the device. This meant it had limited appeal while my son was actually coding. But as a way to show someone a finished project it works well. Our BitsBox came with a Super Hero cape. I didn't expect my son to be interested in it as it's a very long time since he was interested in dressing up as a super hero. But he played along and put it on while he coded. He's at the younger end of the age range, I can't imagine a 10 year old would have been interested in it. 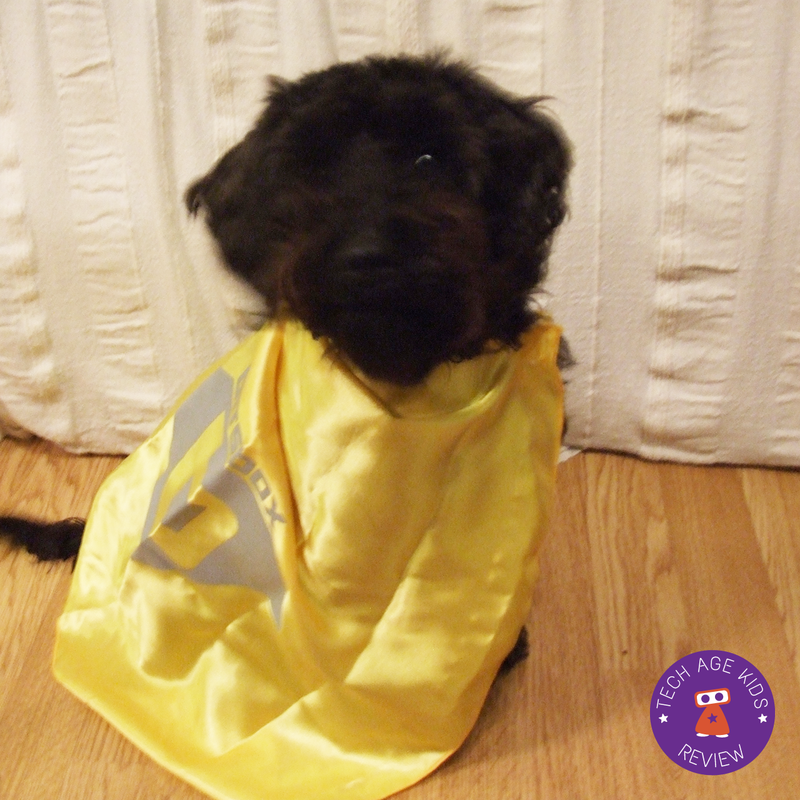 The super hero dog character did appeal to him though. The projects are fun and kids can use them as a jumping off point for their own ideas. 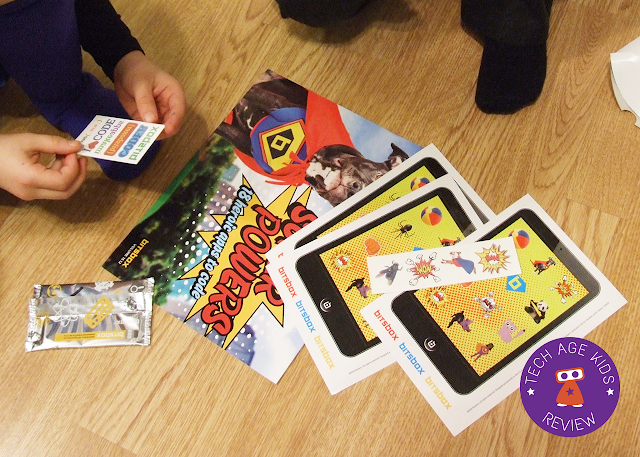 A monthly subscription is a great idea as it keeps kids returning and trying new things. As kids can join the subscription at any point there no progression. But kids will pick up new skills each month that they can apply to their own projects. The monthly subscription is expensive, but there are lots of projects in each issue. I think a smaller cheaper subscription might make sense for a lot of families so that they could maintain kids' interest over a longer period of time. The digital assets are a real strength of BitsBox. There are lots of high-quality backgrounds, stamps, sounds and music. This means that kids can readily create 'apps' that look great. Poor graphics and sounds is a weakness of a lot of free kids coding environments. I definitely like the idea of a subscription service that offers new coding projects each month. It's a great way to keep the momentum going. The BitsBox projects and assets are very good. We think the environment for entering code could be improved to make it less tedious, but kids that are willing to put the effort in will develop their typing skills and be more ready for text-based programming environments. A lot of families will find a regular $20 per month for the digital version too expensive never mind the $40 a month ($30 if you subscribe for 12 months) for the physical box. However, if the price point is affordable to you and the projects appeal to your kids then the convenience and motivation may be worth it. The way the pricing is structured you can see how your kids respond before making a big commitment.